Within biology, many unique polymeric materials exist in the forms of nucleic acids, proteins, and renewable compounds. Through synthetic means, polymeric materials can be developed with complex structures, analogous to natural materials. 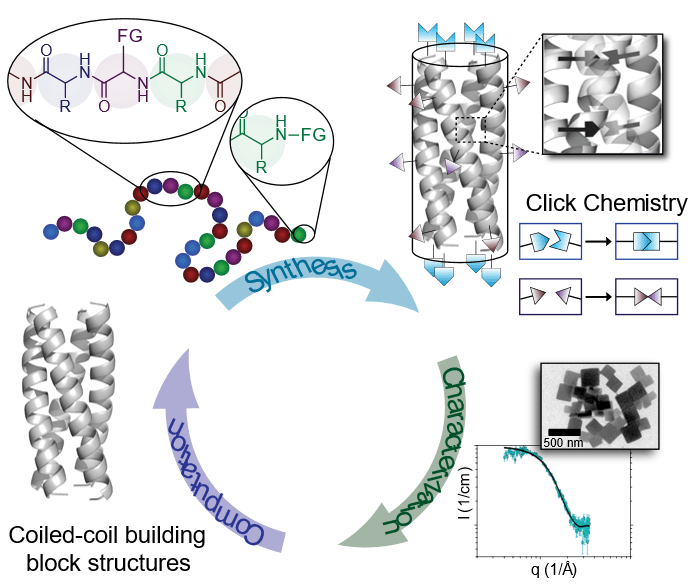 Hierarchical polymeric structures are ubiquitous within nature. 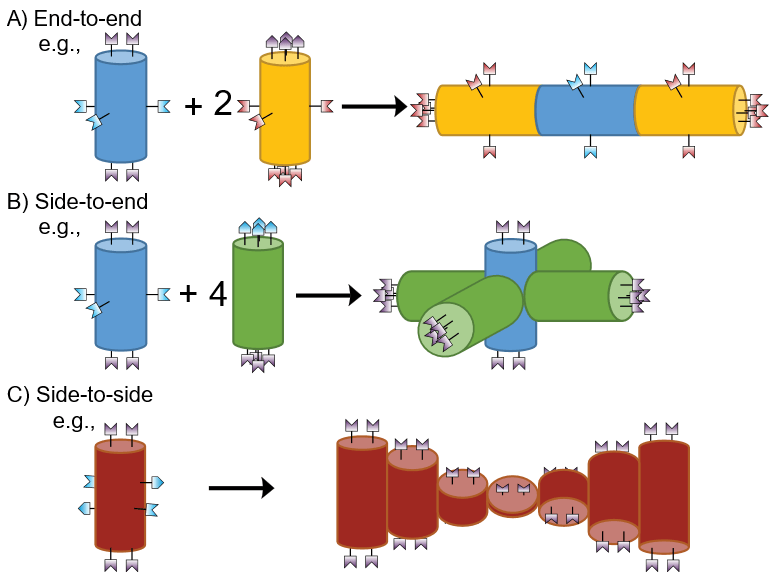 Amino acid building blocks promote sequence-specific conformations that can be utilized in the development of self-assembling materials. With the addition of cleverly placed functional sites, these higher-ordered structures can be locked in place, creating unique non-natural structures. Bisphenol A (BPA) is a petroleum-derived monomer used to manufacture impact resistant plastics and composites, but is a known endocrine disruptor. 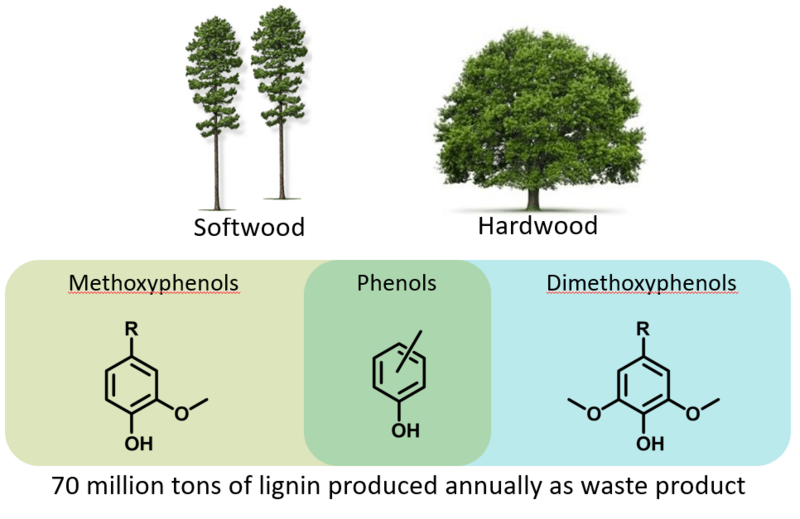 Bisguaiacols derived from lignin hold promise as less hazardous, bio-based alternatives. We aim to design bisguaiacols derived polymers with high performance thermomechanical properties similar to those synthesized from BPA. Click Nucleic Acids (CNAs) have a structure analogous to DNA, and are able to base-pair to form helices with DNA strands. 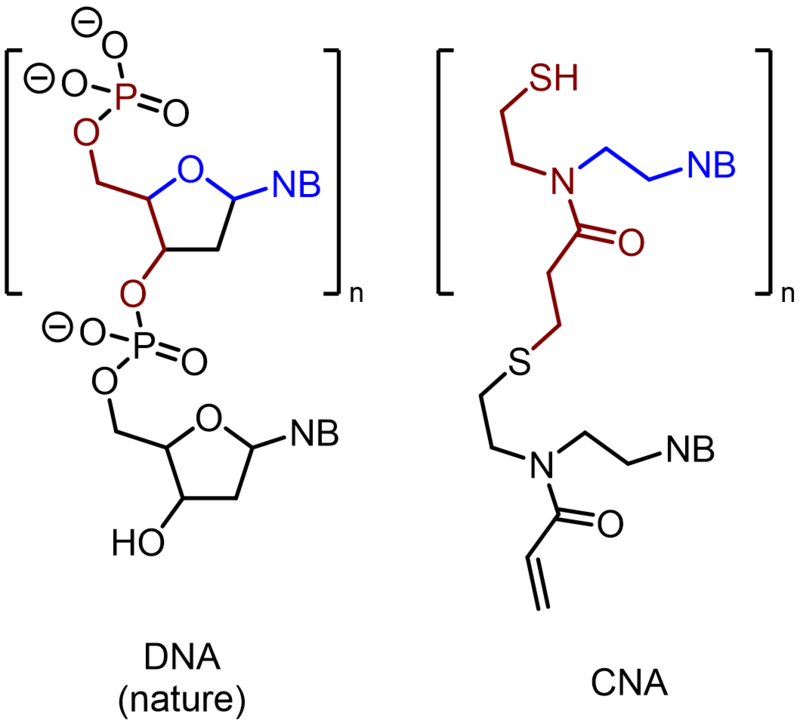 Compared to DNA, CNA binds stronger to DNA than DNA does to itself, is more sensitive to nucleotide mismatches (i.e., single nucleotide polymorphisms [SNP]), and is over 1000 times less expensive to produce than DNA.